- COM port: Built-in RS-232 & RS-485 ports, compatible with Modbus ASCII/RTU protocol. Can be master or slave. We are manufacturer and supplier of PLC . 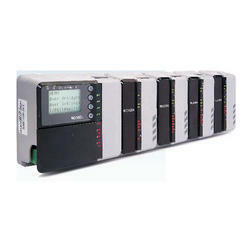 A Programmable Logic Controller, PLC or Programmable Controller is a digital computer used for automation of electromechanical processes, such as control of machinery on factory assembly lines, amusement rides, or light fixtures. We are engaged in manufacturing, exporting, trading, distributing, importing and supplying our clients an enormous assortment of PLC Base system. The offered system is designed with accuracy using supreme class material as per with market standards. Our range of system is broadly demanded among customers for its perfect finish. Mayura Automation & Robotic Systems Pvt. Ltd.
We bring forth vast industrial experience and expertise in this business and are involved in offering high quality range of Mitsubishi PLC FX1S. · Lift arrangement mechanism with conveyor belt. · Lift position sensor (Proximity) with indicator provided. Banking on the skills of our qualified team of professionals we are engaged in offering PLC Support. 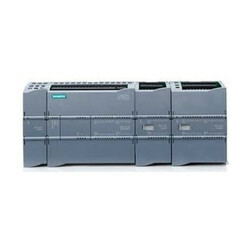 This PLC Support is known for its rigid construction and optimum performance. Our product range is extensively used in different industries. As per the demand of our clients, we are offering this product in bulk. Being the leading names in the industry, we offer technically advanced array of PLC HMI System that are acclaimed among the clients for easy installation and durable standards. Our entire product range is functionally advanced and is used in varied industrial and commercial establishments. Our company has achieved milestone in offering PLC Based System to our various important customers. Our offered PLC Based System is designed using finest material and leading technology as per the customer’s requirements. This product is also well checked on various quality parameters in order assure the quality. Early to the introduction of PLC (Programmable Logic Controller), Relay logics were used to achieve interlocks and defined sequence of operation. Leveraging on our industry experience, we are involved in offering a high quality PLC Based Control System. We are the Leading Manufacturer, Supplier of PLC Based Systems in Chennai.Tamilnadu, India.